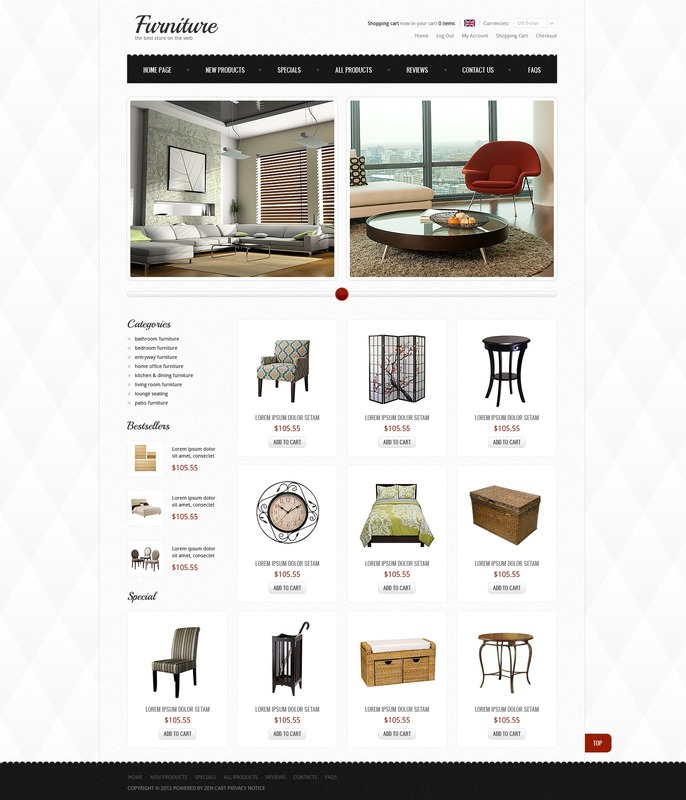 Let us offer you a professional furniture theme with accurate elements positioning and interesting horizontal slider navigation. Zooming effect on product images makes the template unique. The designer uses handwritten fonts which makes the typography more interesting. Widgetized sidebar is also supplied with product images.